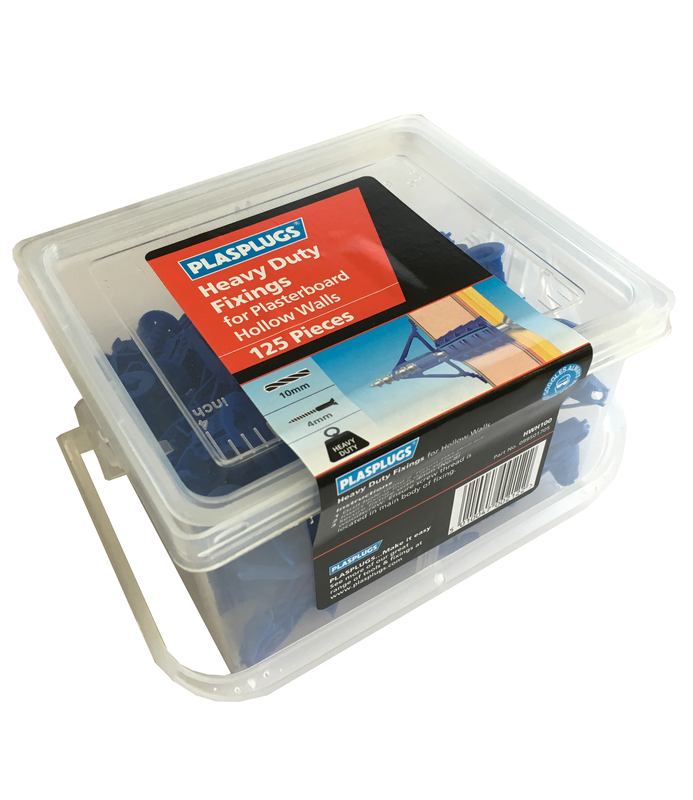 125 Heavy Duty Plasterboard Fixings in a handy carry box. 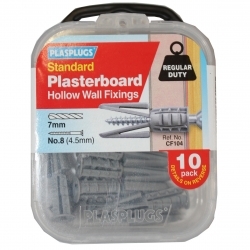 150 x Regular & Heavy Duty Plasterboard Fixings & Screws. 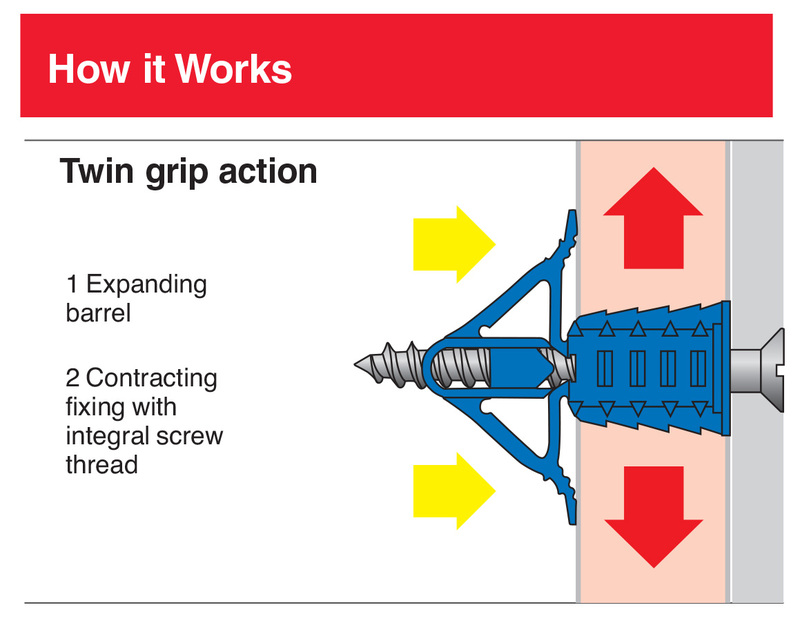 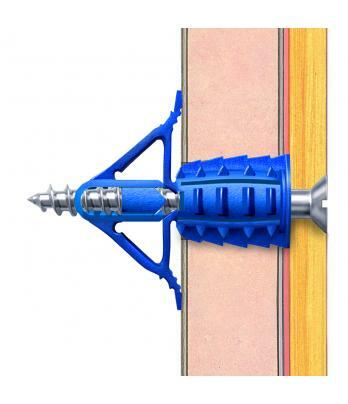 HEAVY DUTY: MULTI-Thread technonogy offers superior holding power. 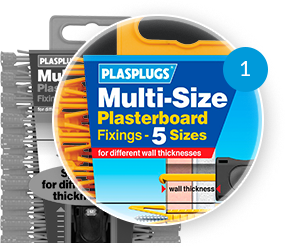 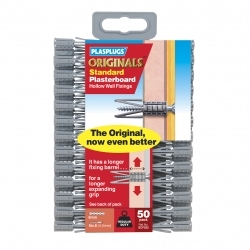 These days, a lot of fixing work is in to Plasterboard, which is why Plasplugs plasterboard range is so good. 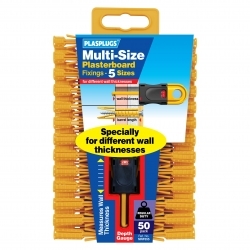 When the job's more demanding than usual, trade up to these heavy duty fixings. 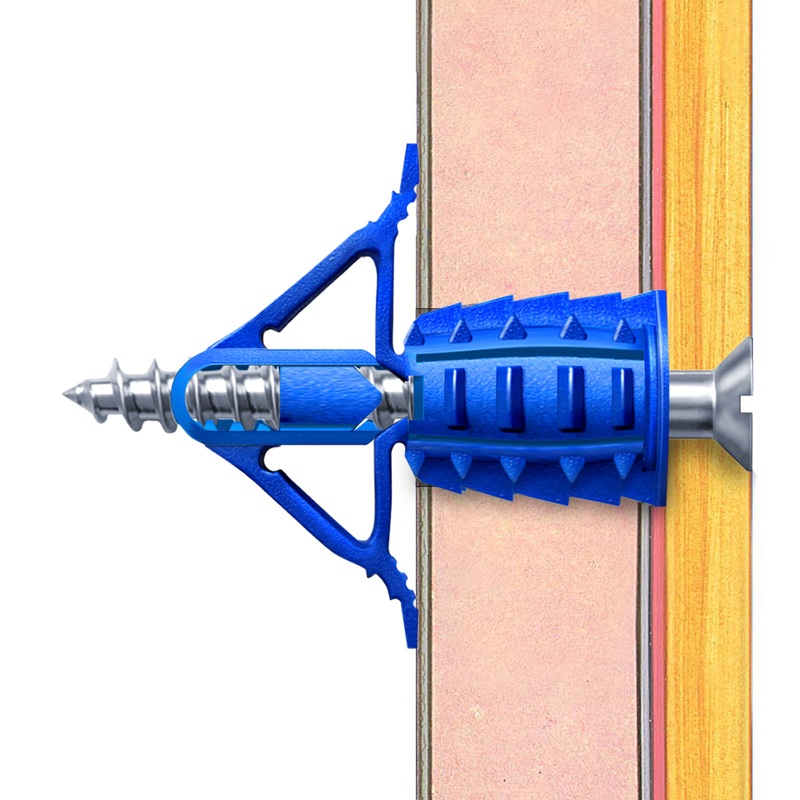 They have a 4 way expanding barrel AND twin contracting anchors, which makes a real difference. 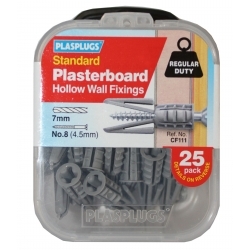 What are you fixing in to? 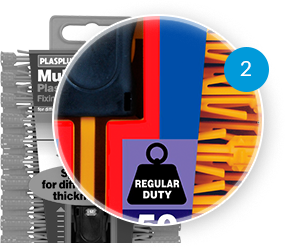 Label colour indicates fixing type required. 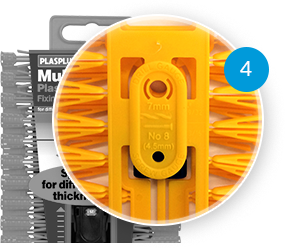 What weight of fixing do you need? 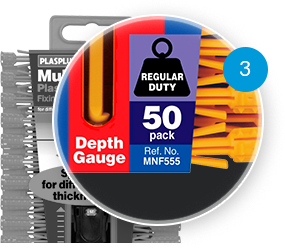 Check weight symbol to determine strength of fixing. 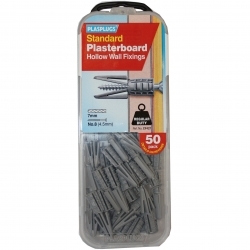 How many fixings required ? See label for pack contents. 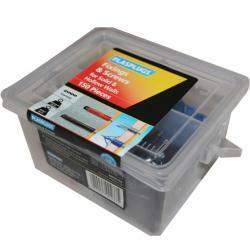 Packs contain drill & screw size guides.